Hyundai Motor UK has officially announced the pricing and specification of the i30 Fastback N Line, which goes on sale in the UK today. After successfully launching the new N Line range last year, the i30 Fastback N Line enhances the standard car with dynamic design features and tuned driving characteristics. The Fastback N Line trim features exterior and interior design elements carried over from the Fastback N, with chassis refinements and suspension setting changes to achieve a more dynamic drive for the 1.4-litre T-GDi engine. The upgraded exterior design includes a front bumper exclusively accented with a silver character line and Hyundai’s signature Cascading Grille with mesh pattern, as well as black bezel surrounds on the headlamps. 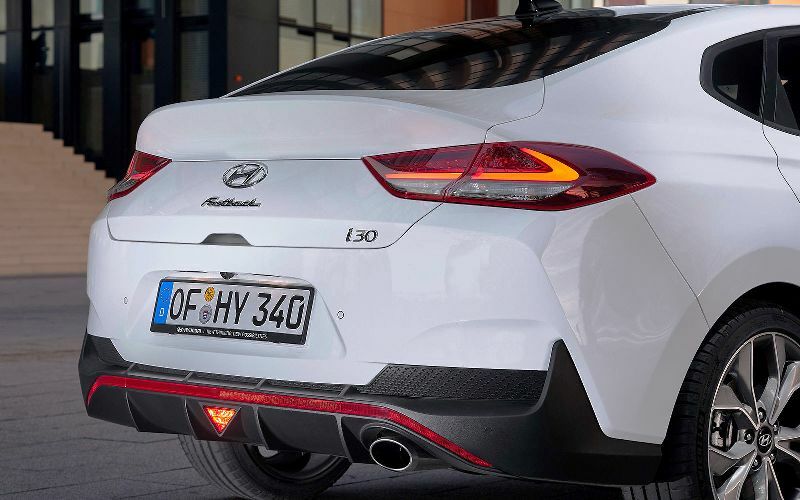 Also carried over from the i30 Fastback N, the rear bumper features a red reflector line, the N signature triangular fog lamp and aerodynamic diffuser. N Line badging is positioned on the front wings, whilst in the interior, customers benefit from N-branded sport seats, a leather sports steering wheel and an N gear shift knob. 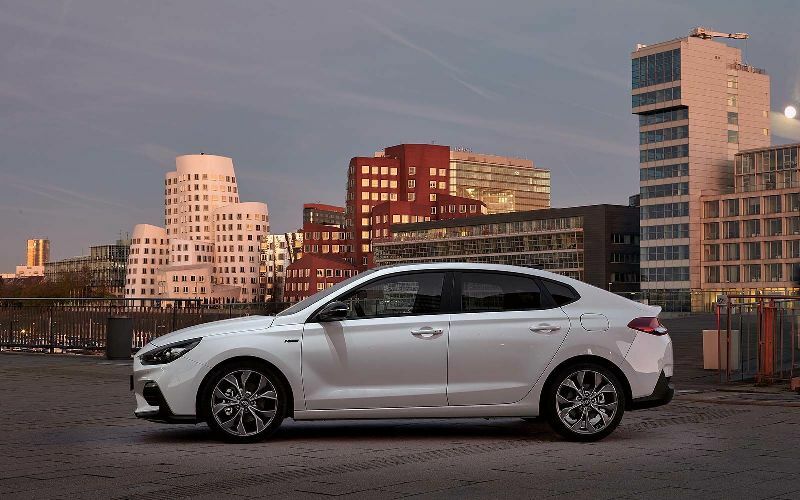 As with all i30’s, the i30 Fastback N Line offers a high level of standard safety equipment. Lane Departure Warning System, Lane Keep Assist, Autonomous Emergency Braking and Hill Start Assist Control feature on all models. Standard technology and connectivity equipment also feature, with all N Line’s benefitting from Centre Console Display, 8″ Touchscreen Display Audio with Smart Device Integration & DAB, supporting Apple CarPlay™ and Android Auto™. 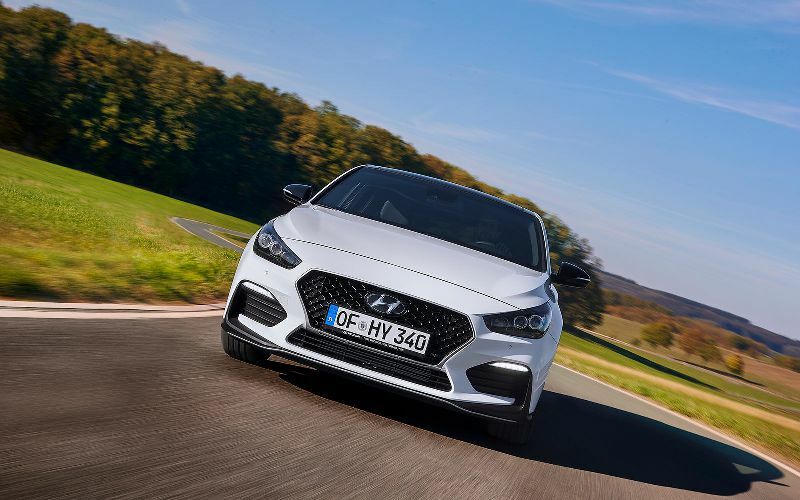 In addition to performance styling, the i30 Fastback N Line models fitted with the 1.4 T-GDi engine also receive changes to the mechanical set up of suspension, brakes and engine response as well as Michelin PS4 tyres, in order to enhance the driving experience over the standard i30 models. Prices will start from £20,495 for the i30 Fastback N Line 1.0 T-GDi 120PS 6 speed manual, which offers cloth sports seats with manual height adjustability to both passenger and driver’s side, with an additional electrically adjustable lumbar support on the driver’s side. Air conditioning, an automatic dimming rear view mirror and black headlining are also standard equipment. This model is also available with a 1.4 T-GDi 140PS engine, with both 6 speed manual and 7 speed DCT drivetrains. From £23,760, the i30 Fastback N Line + 1.4 T-GDi 140PS 6 speed manual builds on the N Line trim level by offering heated faux leather and suede sports seats with electrically adjustable lumbar support for both driver and passenger, manual height adjustment and drivers side memory function. N Line + trim also includes dual zone climate control, heated steering wheel, LED headlamps and automatic rain sensing windscreen wipers. An 8” touchscreen satellite navigation with Traffic Messaging Channel, Mapcare and LIVE Services is a customer option. The N Line + is also available with a 7 speed DCT transmission. i30 Fastback N Line is available in a choice of 10 colours; Engine Red and Polar White are solid finish, no cost options. Champion Blue, Stellar Blue, White Sand, Micron Grey, Olivine Grey, Fiery Red, Platinum Silver and Phantom Black are all metallic or pearl paint finishes, a £585 option. All i30 Fastback N Line models come with Hyundai’s industry leading 5 Year Unlimited Mileage Warranty, Roadside Assistance package, 5 Year Annual Health Check, and 12 Year Anti Corrosion Warranty.